Indonesia’s economic analysts – and the central bank, Bank Indonesia (BI) – were surprised on August 5 when the Central Bureau of Statistics (BPS) announced that gross domestic product (GDP) rose by 5.18% in the second quarter from a year earlier. The analysts and BI had all predicted a figure at around 5%. The improvement, which BPS credited to improved commodity prices and stronger consumption, came as global investors are warming to Indonesia, seeing it as one of the most promising emerging market economies. The second quarter figure was a significant increase compared to the previous quarter, at 4.91%. BI had been particularly pessimistic on second-quarter growth: it tipped the figure to come in at only 4.94%. And yet while the direction is definitely positive, there are limits to how much steam Indonesia can generate, with the government admitting that full-year growth won’t be much more than 5.2%. As Concord noted earlier, a number of factors may have buoyed the second-quarter result. Oil prices were particularly low in the quarter, at one stage dropping below $40 a barrel. They later starting to move up again, with West Texas Intermediate sitting at $44.49 a barrel at the end of the second week of August. A boost in domestic consumer spending around the Muslim fasting month and Idul Fitri also may have exaggerated the strength of the economy, while cuts to government expenditure over the next few months will likely have a negative impact on growth. The cuts ordered by new Finance Minister Sri Mulyani Indrawati will see a total of Rp133 trillion trimmed from expenditure, of which Rp65 trillion will come from ministries and agencies’ operational budgets such as for meetings and official travel. BPS head Suryamin said government expenditure only accounts for 9.44% of gross domestic product (GDP), far below household consumption with 55.23% and investment with 32.45%. He argues that this means that the budget cuts won’t have a marked effect on output. Still, slicing around $10 billion off the national economy is bound to have some impact, not least restraining growth within a band not far above 5%. The action taken by Indrawati within weeks of taking up her old job is part of the positive story for the foreign investment community. Her predecessor, Bambang Brojonegoro, who was shifted sideways to head the National Planning Board (Bappenas) in the reshuffle, had stuck rather foolishly to the belief that his budget projections would be saved by cash from the tax amnesty. But with a slow start to reparation of funds under the amnesty, action needed to be taken to avoid a fiscal crisis at year-end, and Indrawati won the applause of the market by taking the required steps. Macroeconomic stability is one of the biggest plus points of the Indonesian market. Inflation is at record lows, cooling to 3.21% in July. The budget deficit, limited by law to a maximum of 3% of GDP, is low by international standards and debt is also low. Yet interest rates on government debt paper are high by those same standards, partly because one major ratings agency – Standard and Poor’s – continues to insist that Indonesia needs to do more to win an investment-grade rating. These factors have seen foreign investors pile into Indonesian debt. On July 19, the government sold Rp18 trillion ($1.38 billion) worth of bonds at an auction that saw total bids of Rp46.85 trillion chasing the government’s original target to sell just Rp12 trillion of the paper. For the investors, a coupon of 7.08588% for the bonds maturing in September 2026 sounded generous compared to many other countries, especially developed markets, where negative interest is now fashionable. Given the combination of stability and profitability, it’s little surprise that Indonesia is suddenly popular. At August 4, foreigners had taken a total of Rp659.03 trillion of government paper during 2016, up 18% from the level of Rp558.5 trillion in 2015, and representing 39% of total outstanding debt. The challenge now for Indonesia is to keep that money in the system rather than letting it flood out once again. External conditions appear to be favorable. There is now seen little chance that the US Federal Reserve will raise rates on US Treasuries in the short to mid term. Economic recovery in the developed economies remains lack-luster, leaving investors looking for income elsewhere. As long as Indonesia can stay on a steady course, the money should stick. Global fund manager Franklin Templeton Investments is one of many institutions that sees Indonesia as a good prospect, offering “robust” growth, according to a recent report. Michael Hasenstab, chief investment officer at Templeton, was quoted as saying that prudent fiscal policy, favorable demographics, a healthy level of foreign exchange reserves and continuing structural reforms were the main plus points. Hasenstab sees Indonesia out-performing Thailand, Malaysia and China. 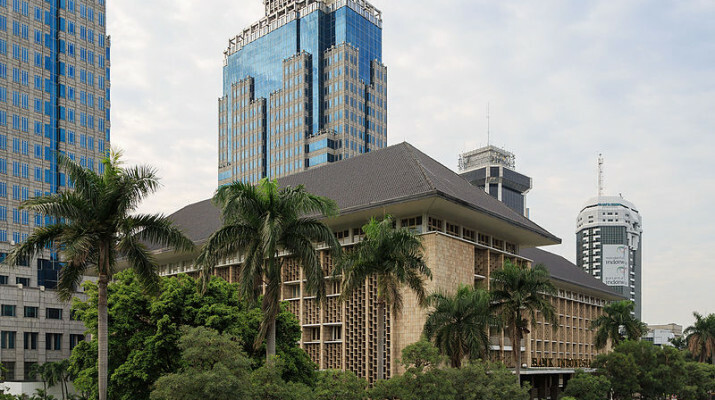 He expects more cuts in Bank Indonesia’s benchmark rate, likely boosting bank lending, currently sitting at a tepid growth level of around 8% on last year. But as much as investors are seeing Indonesia as a good growth prospect, much needs to be done. Templeton’s Hasenstab echoed many other critics when he said the country needs to boost its tax receipts above the current low level of around 15% of GDP and further improve its business environment and transparency. Indonesia moved up 11 places on the World Bank’s Ease of Doing Business survey last year, but it still sits at a lowly 109 out of 189 countries. The country slipped 10 places in the latest World Bank Logistics Performance Index (LPI), to 63rd out of 160 countries surveyed, following declines in almost all categories, except for tracking and tracing and international shipment. Similar criticism has come from the three main ratings agencies. In early June, Brodjonegoro bemoaned Standard and Poor’s decision to keep the country’s sovereign debt rating at one level below investment grade. “Honestly, we question (the decision) because most of S&P’s reasons are identical to the previous ones,” he told reporters, arguing that policy advances since then had not been recognized by the agency. Other countries had an investment grade despite having worse debt-to-gross domestic product ratios and larger deficits than Indonesia, he complained. But, he admitted, the decision by S&P to increase Indonesia’s rating outlook from stable to positive was some compensation, when it and the other agencies were downgrading other economies. Such qualms recognize that Indonesia has much more to do if it is to achieve a degree of economic momentum that will lift it out of its current pattern of restrained growth. A number of issues continue to dog the prospects of the economy. First is budgetary efficiency. President Joko Widodo on August 4 called on regional administrations to speed up their budget disbursement, noting that a total of Rp214 trillion ($16.32 billion) in regional budget funds was sitting idle as of June. All that cash would easily solve the central government’s budget deficit problems. But, having disbursed the funds, they are sitting in regional development banks earning interest but producing no economic benefit. Getting those funds into the economy would provide a major boost for growth. Yet a basket full of issues continues to impact spending: land acquisition issues, planning processes and the fear of officials of being accused of corruption. Then there is the old problem of policy confusion. The past few weeks have seen a host of examples in which Indonesia has failed to live up to the standards that might be reasonable expected of an emerging global economy. The education front was one example. Indonesia’s so-called demographic bonus could easily turn into a major problem if the country can’t create jobs, and if it can’t educate young people in a manner that will attract investment growth will inevitably stagnate. Thus it was depressing to see new Education Minister Muhadjir Effendy in his first weeks in office suggesting students should stay in school until 5 PM, an idea that was widely criticized as having very little educational value. His appointment, replacing the popular Anies Baswedan, appeared designed only to satisfy the desire of religious organization Muhammadiyah for a place in cabinet. Doubts over the citizenship of new Minister for Energy and Mineral Resources Archandra Tahar which surfaced in mid-August – and his subsequent “honorable discharge” from the cabinet – raised questions about the government’s awareness of the need to conduct proper due diligence on candidates for senior appointments. Flooding at Soekarno-Hatta International Airport’s new Terminal 3 on August 14 then raised the question of Indonesia’s capacity to build viable constructs and to get value for money from its public works. The many cartels that operate in the food sector will also take a long time to remove, if they ever can be. That means that Indonesians will continue to have to spend more of their incomes than necessary on food, restricting their capacity to spend more in other areas that would boost the economy. The recent decision by the trade and agriculture ministries to allow their officials to make changes that cut across normal departmental protocols was praised by the ministers as an attempt to overcome sectoral egos. To independent observers, it appears to be a recipe for policy confusion. Meanwhile President Joko Widodo continues to make demands for food self-sufficiency that appear very difficult to achieve. In the resources sector, the oil and gas industry is a pale shadow of what it was a few years back, with a combination of low prices and negative government policy convincing many that Indonesia is just too difficult. In mining, new Coordinating Minister for Maritime Affairs and Resources Luhut Panjaitan has said the government wants to revise the Mining Law this year, but there is no indication of what changes it has in mind. In the meantime a looming total ban on unprocessed mineral exports threatens to destroy what little is left of the industry, potentially robbing the country of vital income tax and royalties just when it needs them most. There are some positive signs. Coal prices have improved, with China buying more after plunging the global industry into despair when it cut back on imports, but Indonesia will not be in a position to gear its mines back up until 2017. A list of what needs to be done to make Indonesia a more productive and dynamic society is virtually endless. Gains are being made, but there is little chance that President Widodo’s campaign pledge to get the economy back to 7% growth by the end of his first term in 2019 will be met. It is far more likely that growth will continue at around 5%, inching upward rather than making a leap forward. That still leaves Indonesia looking good compared to many emerging markets, and indeed compared to some developed ones, but the battle to keep the country from getting stuck in a middle-income trap remains far from over. A version of this article was first published by Concord Review on August 15, 2016. Free trial subscriptions are available.